Penne Pasta Salad with Shrimp Chili & Lime - great BBQ side dish! Penne Pasta Salad with Shrimp Chili & Lime. A deliciously simple pasta salad that’s terrific to serve with cold cuts, grilled, chicken or fish, or as an ideal BBQ side dish. Penne pasta salad is probably my favourite among all pasta salads. I like the fact that being among the larger of pasta shapes available, penne make the salad easier to serve and to eat at buffet style meals like barbecues, cookouts and other get togethers. Any type of pasta salad is a terrific make ahead dish, especially for summer entertaining at this time of year, so when I was contacted by Barilla to try their new Pronto line of products, which are cooked in a single pan without the need for draining or rinsing the pasta, I was indeed intrigued. One thing I cannot stand in any dish is overcooked, mushy pasta and this is especially true for pasta salads, so I wondered how this new product would perform. I cooked the pasta in a large shallow pan according to the box instructions and I’m pleased to say, it did indeed turn out perfectly, with a distinct al dente bite. I let the pasta cool for a few minutes, threw in the rest of the salad ingredients, gave them a quick stir and I was done. This same “one-pan wonder” method could be used for a quick dinner just by adding your favourite pasta sauce and maybe some smoked sausage. I’ll bet you could easily have that on the table in 20 minutes! We enjoyed this delicious pasta salad as a side dish at a family barbecue where it got rave reviews for it’s spicy, tangy flavour. You can, of course, make the salad without the shrimp if you prefer. It would be a perfect accompaniment to both grilled chicken or fish or practically anything off the back yard grill. Like this Penne Pasta Salad recipe? 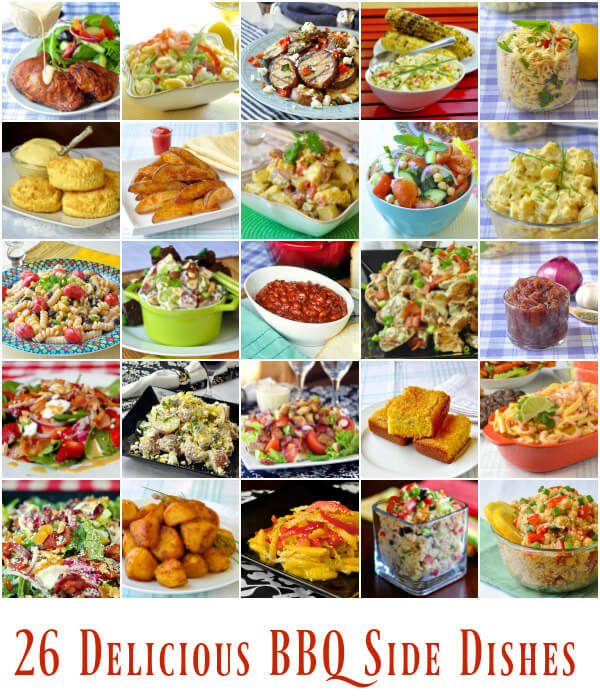 If you liked this penne pasta salad recipe you’ll be sure to find many more to try and love in our collection of 26 Best BBQ Side Dishes. Penne Pasta Salad with Shrimp Chili & Lime - a deliciously simple pasta salad that's terrific to serve with cold cuts, grilled, chicken or fish, or as an ideal BBQ side dish. Prepare the pasta as directed, adding a pinch of salt when adding the water. Remove from heat and let stand for 10 minutes or so, stirring occasionally. Prepare the dressing simply by stirring together all of the ingredients well. Pour the dressing over the pasta along with the shrimp, chives and red pepper. Toss well. Chill before serving. Small glitch in the recipe formatter. It was hidden after converting. Fixed now, thanks for letting me know.